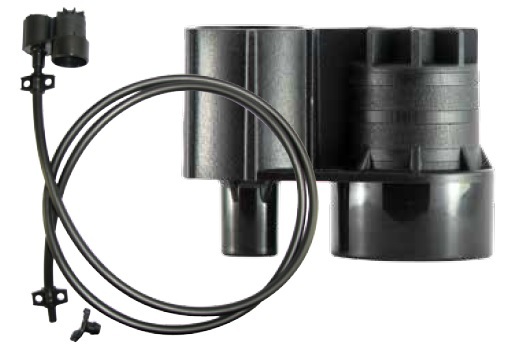 The Riser Adapter makes irrigation easier in hard to reach places. It is ideal for temporary and portable systems. Sprinklers connect to the adapter, which then connects to low pressure laterals. This makes it easy to relocate or remove sprinklers for installation in other locations. Sprinklers connect to the riser adapter, which in turn connects to low pressure laterals. Relocating the sprinkler is as easy as moving the riser. Removal of the irrigation system for field work can be done easily by disconnecting the riser adapter assembly and using a plug for the bushings in the lateral.